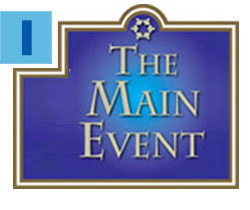 You won’t want to miss The Main Event, the Greater Miami Jewish Federation’s largest community event of the year. 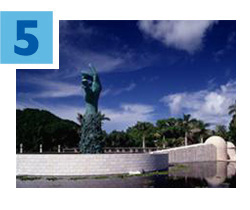 Join Chairs Colleen and Richard Fain on Wednesday, February 15 at the Hilton Miami Downtown. David Gregory, renowned journalist, political analyst on CNN and former moderator of NBC’s Meet the Press, will give the keynote address, touching on his Jewish journey and critically acclaimed memoir, How’s Your Faith? Guests will also be treated to a show-stopping performance by Grammy Award-winning violinist Miri Ben-Ari. Click here for details and to RSVP. 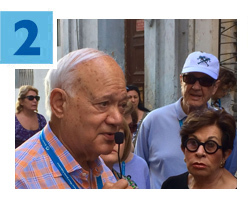 Last week, 35 Federation leaders traveled to Cuba to experience the island’s Jewish community firsthand. Chaired by Cuban-born George Feldenkreis, the mission included a number of traditional cultural stops, tours of Cuba’s synagogues, and the opportunity to study how Federation’s overseas partner agency, the American Jewish Joint Distribution Committee (JDC), supports the island's Jews. “It was very impactful seeing the holy work JDC has accomplished on our behalf,” said Federation President and CEO Jacob Solomon. “Their programs and services have sustained Jewish life on the island for more than 20 years and it was remarkable to witness its renewal.” Read more. Calling all attorneys! 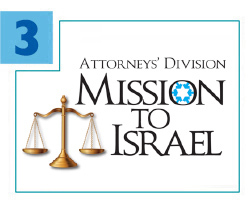 Join Federation and the Attorneys’ Division on a very special mission to Israel from March 29 to April 4. Chaired by Alan Kluger and Aaron Podhurst, the trip will explore the country through a legal lens while offering attendees the ability to complete more than 16 CLE credits. Highlights include private meetings and briefings with high-level officials and Israeli Supreme Court Justices, visiting an Iron Dome site and a Negev Army Base with an opportunity for a shooting simulation, and an exclusive dinner with Professor Alan Dershowitz, who will discuss legal issues in the Israeli-Palestinian conflict. Hurry! Space is limited. Click here for more information or contact Emily Stone at estone@gmjf.org or 786.866.8414. In the past two weeks, there have been more than 50 bomb threats to Jewish community centers (JCCs) around the world, including South Florida and London. Federation President and CEO Jacob Solomon responded to the incidents: “Regrettably, recent events and trends remind us that we can’t be complacent about our physical security as a Jewish community. We are grateful The Jewish Federations of North America (JFNA) has recognized and responded to this need by making resources available to expand security measures within our Jewish communities as a whole.” Donations to the Annual Federation/UJA Campaign ensure these very necessary security measures, both locally and nationally, are accomplished. Read more. Join the Holocaust Memorial Miami Beach for Holocaust Education Week from Monday, January 30 to Friday, February 3. The events will shine a light on the heroism of our survivors and will honor the memory of those murdered. Click here for details on the week’s programming and to RSVP. All events are free and open to the public. Holocaust Education Week is a community-wide program of the Holocaust Memorial Miami Beach, a Committee of Federation.